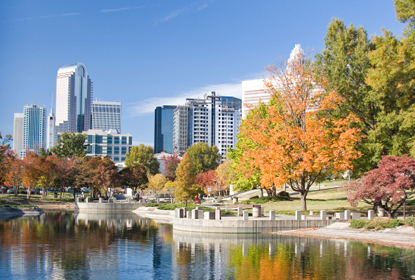 Charlotte is a beautiful historic city that is the birthplace of two American icons: Billy Graham and NASCAR. Surrounding the green hills and colonial church steeples is the unmistakable adrenaline exhaust of the racetrack. 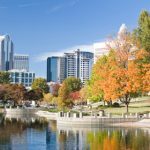 There are over 79 paved and unpaved tracks in North Carolina, infusing the citizens of Charlotte with non stop racecar fever. I met Leilani Münter, stunt performer and racecar driver, over veggie tapas in the northern part of the city. With Leilani’s petite frame and model-like look, it was hard to imagine she had been named one of the top ten female drivers in the world by Sports illustrated. Although she had raced all over the US, including Daytona and the Indy Pro Series, her most recent endeavor was dolphins. Leilani had just gotten back from Japan where she worked with activist Ric O’Barry from ‘The Cove’ to help prevent dolphin slaughter. The idea of hunting such a beautiful animal, let alone eating its meat, is something Leilani cannot understand. “It is hard to be a vegetarian in a NASCAR town,” she said, eagerly digging into a plate of spicy green beans. Leilani gave up eating meat at age six. “I asked my mother where hamburger came from and she said it was from a cow. Leilani assumed she meant it came out of a cow like milk. “When she told me it was part of their flesh, like their leg, I put it down in disgust and have not touched meat since.” Leilani went on to describe the overfished oceans, the inability for our world to support itself, and her small frame ballooned with passion that pulled at my own heart. Leilani’s love of the world prompted her to study biology at the UC San Diego where she became further determined to reduce her carbon footprint. “Plastic bags are going to be our undoing,” she said. So how did a self-proclaimed “vegetarian hippie chick” become a race car driver? Leilani told me,”I had never even considered it a possibility!” Leilani was a poor biology grad and didn’t think racing, with the hundreds of thousands of dollars it required, was an option for her. However, the man told her she had talent and could use her feminine spin to gain sponsorships. In addition to requiring serious cash, race car driving is male dominated and requires a willingness to look death in the eye. Leilani decided she was up for the challenge. Leilani loved the adrenaline of racing but there is more to it than that. “It is the only sport where women compete head-to-head with men,” she said. “I don’t get a head start because I am a girl. There is no competition of brute strength; we all have the same car.” The same car that takes corners at 200 miles per hour. “It all comes down to finesse and guts,” said Leilani. But more important than proving a girl can be agile around the track, Leilani found racing to be a phenomenal outlet for her true passion, saving the planet. “No one is going to listen to a hippy biologist when she tells them to recycle, but a race car driver….maybe,” she smiles. Leilani is on a mission to get NASCAR on renewable bio-fuel and recycled tires. And that’s just the association. Leilani also hopes to inspire change in NASCAR’S 75 million fans. “If I can just get 10% of them to stop using plastic bags or start using LED lighting-think what a difference that would make!” said Leilani. Leilani speaks at green events and maintains a blog where she spreads her passion for change across the world. She didn’t go unnoticed. On a NASCAR forum a fan complained that Leilani supported the movie “An Inconvenient Truth” and a whole thread started about carbon dioxide. “I think this was the first time NASCAR fans started debating about the carbon dioxide components in the air.” But like anyone doing something different, Leilani’s activism continued to create controversy. However Leilani stated that the more vocal they became, the more determined she got to promote racing….. and living, in a different way. Doing things differently can be challenging. Leilani’s ARCA race (ARCA is a development league of NASCAR) at Daytona cost about $100,000. It is hard enough to raise funding with a wide open list of available sponsors. It is even more challenging when you are only seeking partnerships from eco friendly companies. “I refuse to promote something that I don’t believe in,” she said simply. 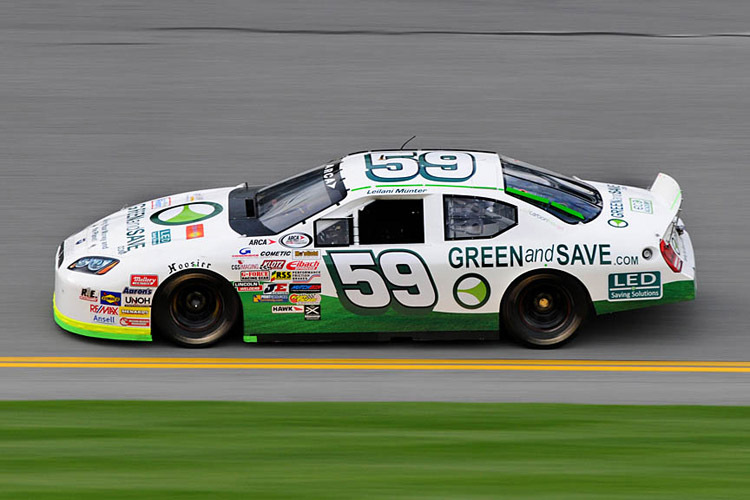 Leilani wanted her car to represent the green movement and advertise to NASCAR fans that a different way is possible. As opposed to ‘Plastic Bag Inc.’, her car is plastered with sponsorships from companies like NextEra Energy, LED saving solutions, and GroSolar. After each race is over, Leilani purchases an acre of rainforest for every race she runs to offset her carbon footprint. So Leilani stayed single until she met and married her “prince,” a tall New Zealander that is happy to let her drive and cheer her on. “He is strong and confident. Plus he really cares about the earth and doing the right thing.” ‘Kiwi’ had gone with Leilani to Japan to help her fight for the dolphin survival. Although I think adding a few more Leilani’s to the world may make it a better place. But I would have to come back to that topic later….Leilani was taking me away from veggies to shots of whisky at a nearby NASCAR redneck bar. “You need to understand the people I am trying to change…..” she said with a twinkle in her eye. I went out with a racecar driver into the Carolina moonshine for $4 Jack Daniels, mechanical bull rides, and a hope to see some recycling rednecks.